Located in the central portion of Western Alabama, you will find the city of Northport. Northport is part of Tuscaloosa County and is just a short drive away from the magnificent Black Warrior River and downtown Tuscaloosa. Major league baseball player, Frank Lary, was born in Northport. In its early years, Northport was known as Kentuck, which was another word for paradise. At this time, Kentuck was mainly dependent on the cotton industry. However, during the early 1800s, the town began shipping more and more items by way of ferry to Mobile. It was at this time when people began calling the town Northport. While Northport suffered many losses during and after the Civil War, it managed to survive mainly due to its growing shipping industry. During the late 1800s, several businesses and schools were added to the town. In the year 1871, Northport was incorporated as a city of Alabama. One of the best benefits of becoming a Northport home buyer is that you will have access to several gorgeous parks where you can go to relax and have fun. One of the most popular parks in the area is Lake Lurleen Park located on Tuscaloosa County Road 49. In this park, you will discover such great amenities as a swimming beach, a fishing pier, picnic tables, a playground, campsites and paddle boats. Another park that is just minutes away from Northport AL homes is Munny Sokol Park, which can be found on Watermelon Drive. Amenities offered by Munny Sokol Park include playground equipment, two lighted youth softball fields, four lighted adult ball fields and two lighted multi-purpose athletic fields. Other parks you may want to check out are Springbrook Park, River Road Park and Harmon Park. You will not need to search far to find some fun attractions near real estate in Northport. There are many locations that offer family-oriented fun, and some of the best include the Children's Hands-On Museum, Alabama Adventure, Birmingham's Railroad Park, McWane Science Center and the Birmingham Zoo. There are many great museums near Northport properties, and some favorites among residents are Paul W. Bryant Museum, Tuscaloosa Museum of Art, the Old Tavern Museum and the Heart of Dixie Railroad Museum. Do you enjoy sports? If so, you will love Rickwood Field Park, Legion Field and Bryant Denny Stadium. If you enjoy the excitement of such special events as festivals and car shows, you will be happy to know that there are many of these types of events held near Northport homes for sale. A favorite event among residents is the Annual Kentucky Festival of the Arts. This event takes place in October and features live music, storytelling, children's activities, tasty food and art exhibits created by artists from all over the U.S.
Another popular event that takes place near Northport real estate is the Moundville Native American Festival. This event is held in early October and features such activities and entertainment as Native American arts and crafts, Native American dance performers, educational demonstrations, and delicious food. Other noteworthy events include the Sakura Festival in March and Dickens Downtown in December. 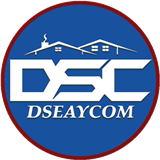 If you have been looking for a home in Alabama where you can enjoy magnificent scenery and plenty of fun attractions, Derrick Seay may have the perfect home for you! There are several beautiful homes for sale in Northport, and our Northport real estate agent can help you find one that suits you and your family's needs.